ASKO - Gas Induction Cooktops At ASKO - Kitchen Collection Available Now! 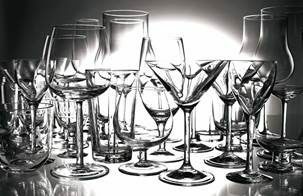 Appliance development at ASKO is inspired by progressive technology and the best of traditional, enduring styles. Naturally, the combination of induction and gas cooking offered potential, realised in the ASKO HIG1944MD Gas Induction Cooktop, incorporating inspiring science and immediately recognisable wok burner traditions side-by-side. 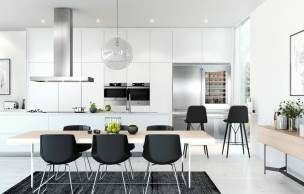 Consumers who might otherwise pass by unfamiliar appliances are stopping to take notice, and the ASKO HIG1944MD Cooktop is becoming a familiar sight in Australian homes. 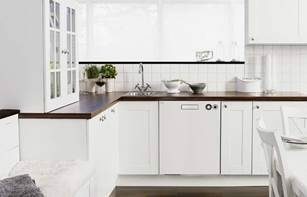 Minimalist Scandinavian appeal is incredibly deceptive, created by seamless integration between components, base and benchtop. High-end manufacturing creates sleek lines, with the hard-wearing matt black cooktop remaining discreet but powerful and ready for action. When ASKO versatility and innovation combine, kitchen appliances become multifunctional assistants with incredible cooking capability, and the ASKO HIG1944MD Gas Induction Cooktop delivers culinary results that everyone will appreciate. Why choose the HIG1944MD Cooktop? Why combine induction and gas cooking? Our multicultural society drives food preferences, providing opportunities for most Australians to sample delicious delicacies from around the world. 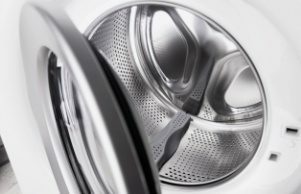 Tastes have evolved, along with our desire for variety and the potential to push cooking boundaries, so adaptable appliances are essential. Satisfying everyone’s taste isn’t easy these days, but it’s still necessary to move with the times, and ASKO gas induction cooking solutions ensure you are a step ahead of impending hunger and ready to satisfy the most ravenous of appetites. Both gas and induction cooking possess immediate heating capacity. The Fusion Volcano wok burner is purpose-built, solid, stable and impressive, emitting targeted flame directly where it is needed for producing authentic Asian-style wok dishes. Induction heating, on the other hand, is a genuine cooking breakthrough, with the world’s best chefs appreciating the benefits of immediate heat, accurate temperature control, and a safe cooktop and kitchen environment. 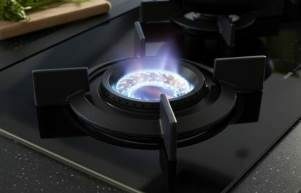 The ASKO HIG1944MD Gas Induction Cooktop, connected to abundant natural gas supply, is a versatile cooking powerhouse worth considering for both small and large kitchen upgrades. How do induction cooking zones work? · Accurate and immediate heat control, even at low temperatures where electricity and gas can falter. · Energy efficiency with no excess radiant heat, providing a safer, cooler, more enjoyable cooking experience. · Faster cooking means more time to spare for socialising and meeting deadlines, while the induction cooktop remains safe to touch for kids. 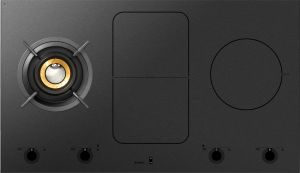 What other features does the ASKO HIG1944MD Cooktop have? The Fusion Volcano wok burner is a standout feature of the HIG1944MD Cooktop. 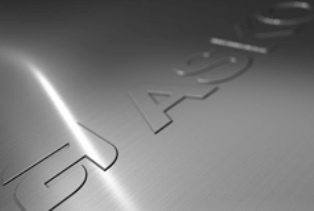 Outmoded ovens and cooktops simply didn’t possess the stability, design and power suitable for wok cooking, but ASKO has changed all that. The targeted Fusion Volcano wok burner flame is significantly hotter than regular gas burners, providing the searing heat required for creating Asian dishes to be proud of. Wok-style cooking is also very popular with BBQ enthusiasts and people who prefer to cook over a flame. Induction and wok cooking methods are combined ingeniously by ASKO innovators. Induction functions of the ASKO HIG1944MD Cooktop include the ‘Wok function’ for providing optimal wok temperature prior to other ingredients being added. This essential step in wok cooking is made simple by ASKO, incorporating an audio signal to inform the chef that temperature is ideal. It’s often the simple things that count, especially when the results are dramatically improved for everyone to appreciate.